Can you believe that this one-of-seven, 236-mph supercar was once a Porsche Cayman? 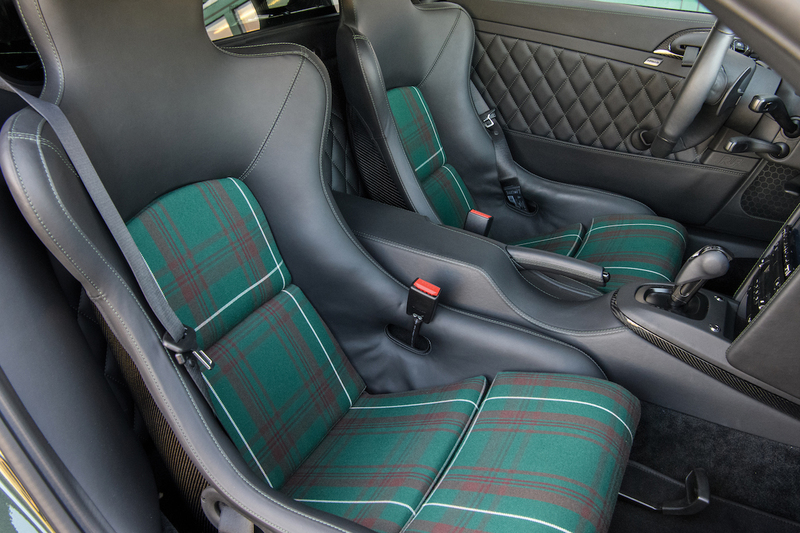 If there's one thing Porsche enthusiasts and gamers have in common, it's that they're both familiar with high-end Porsche tuner RUF. This Pffafenhausen, German-based manufacturer takes unmarked Porsche chassis and turns them into high-horsepower masterpieces, and the company's creations have represented the flat-six in most car-centered videogames for years while Electronic Arts had Porsche's licensing in its clutches. Now's your chance to own RUF's most powerful offering, the CTR 3, an even rarer variant of which is going under the hammer at RM Sotheby's Monaco auction next month. Although it's based loosely on the old Porsche 987 Cayman, the CTR 3 is the brand's top-of-the-line vehicle according RUF's website. 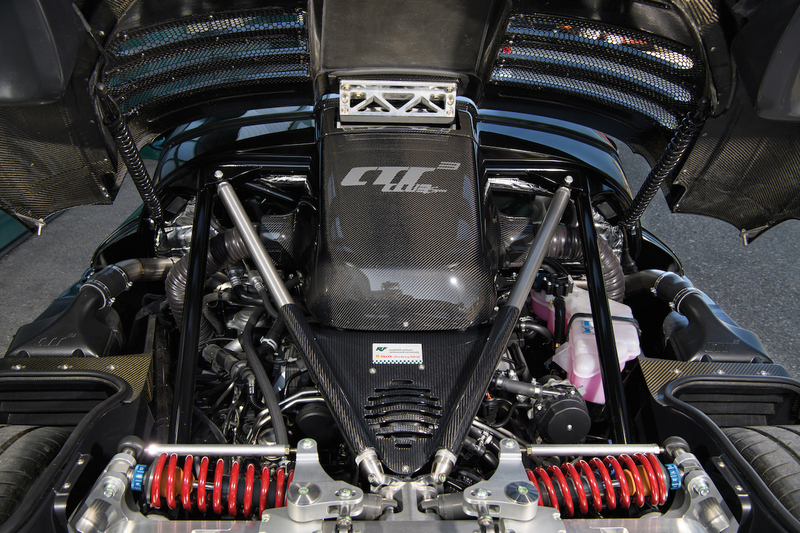 When it debuted, the CTR 3 had 691 horsepower, a manual transmission, and a wheelbase approximately 11 inches longer than a 911. 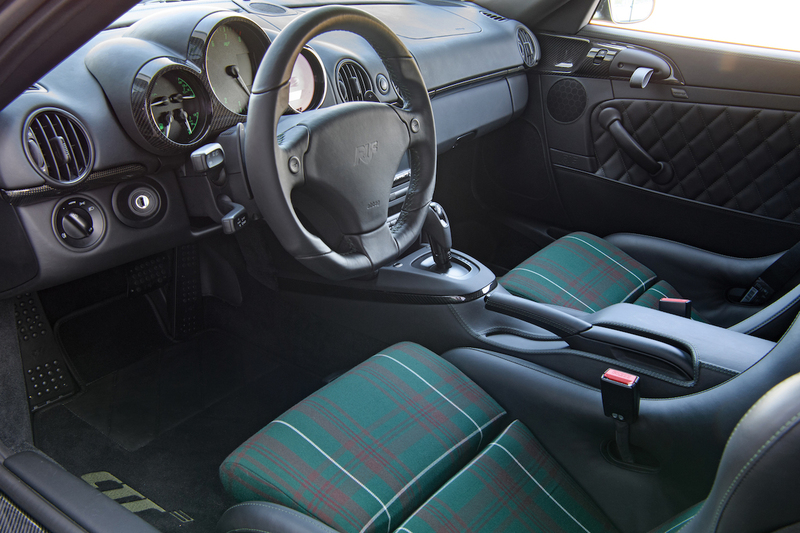 The car for sale from RM Sotheby's is the even more insane CTR 3 Clubsport variant, making 777 horsepower and 723 pound-feet of torque from its twin-turbocharged, 3.8-liter flat-six, and coming with a seven-speed dual-clutch transmission, larger wheel wells, and carbon fiber rear spoiler. The result is a top speed of 236 mph—it may be based on a Cayman, but it sure doesn't act like one. Just seven Clubsports were built, compared to 30 regular CTR 3s. 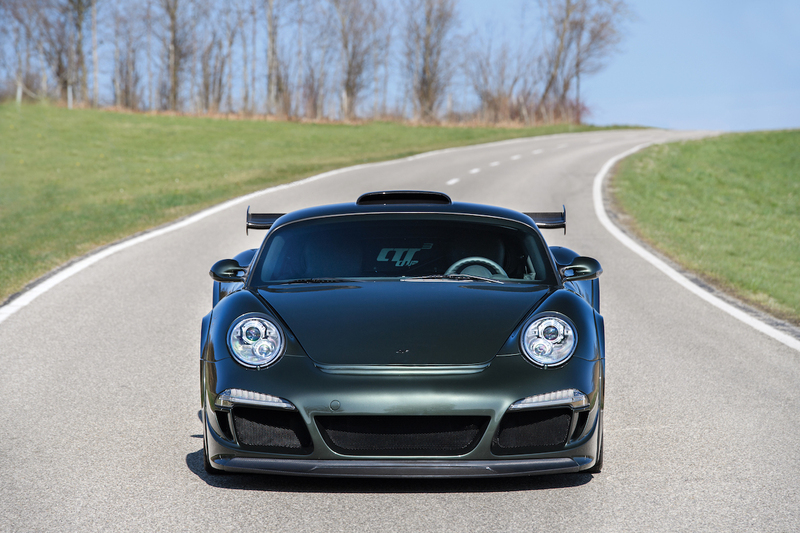 This car is extra special in that it's one of the last CTR 3 Clubsports ever built, and has been signed by Alois Ruf. 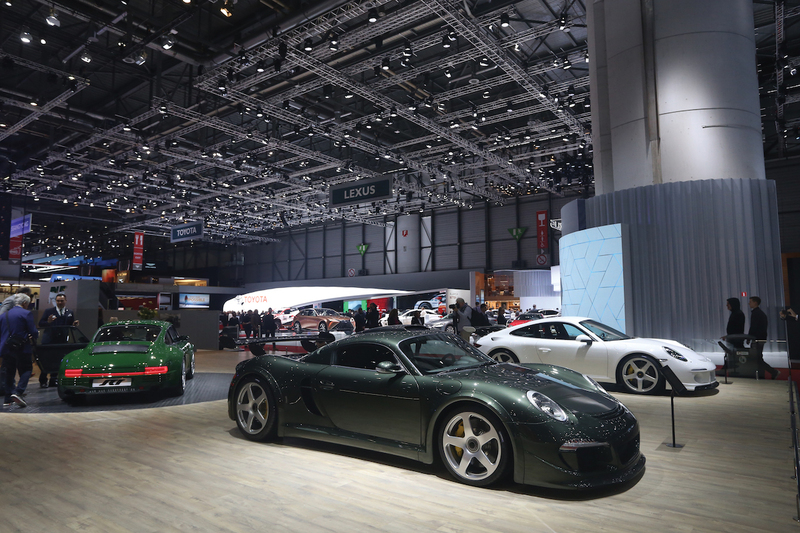 It was on display at the 2018 Geneva Motor Show to help celebrate the debut of the brand new RUF SCR, sporting a similar Oak Green exterior paint. 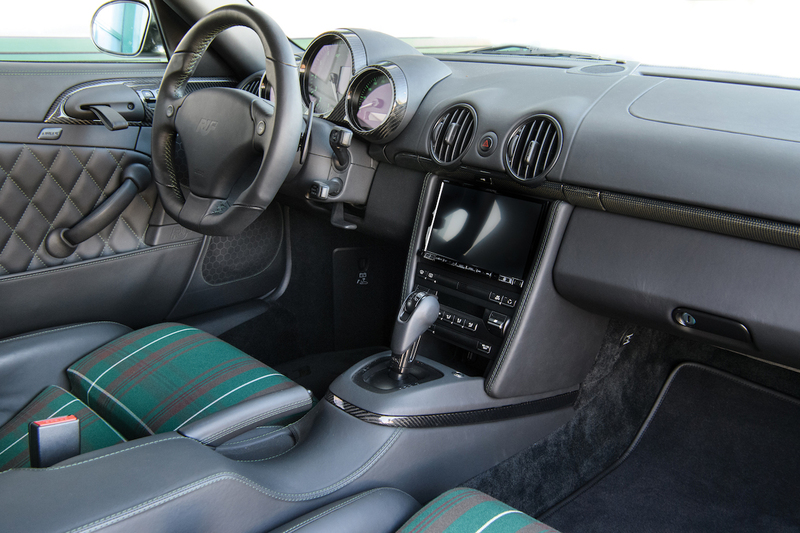 In addition, this Clubsport features leather-wrapped carbon fiber seats and comes with a special wrist watch. It won't be cheap though, but RUFs never are. RM Sotheby's estimates that this car will sell for between $967,000 and $1.1 million. The CTR 3 Clubsport will hit the auction block in Monaco on May 12, alongside cars like Pope Francis' Lamborghini Huracan and some insanely rare Ferraris. Is this one-of-one 328 GTS-based concept car worthy enough for a Ferrari fan's collection?